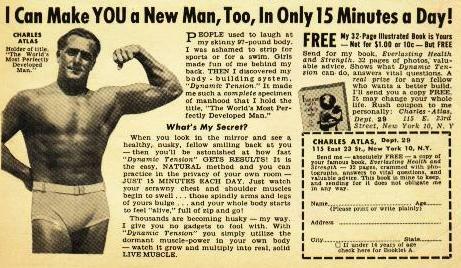 You don’t have to look like Charles Atlas to be fit. You do need strong muscles. Toned muscles help you complete household chores without injury, survive your workday, walk without falling, and right yourself when you are thrown off balance. Increased muscle leads to increased metabolism, which is great for weight loss (you burn more calories while sitting!). And who doesn’t secretly want arms like Michelle Obama? 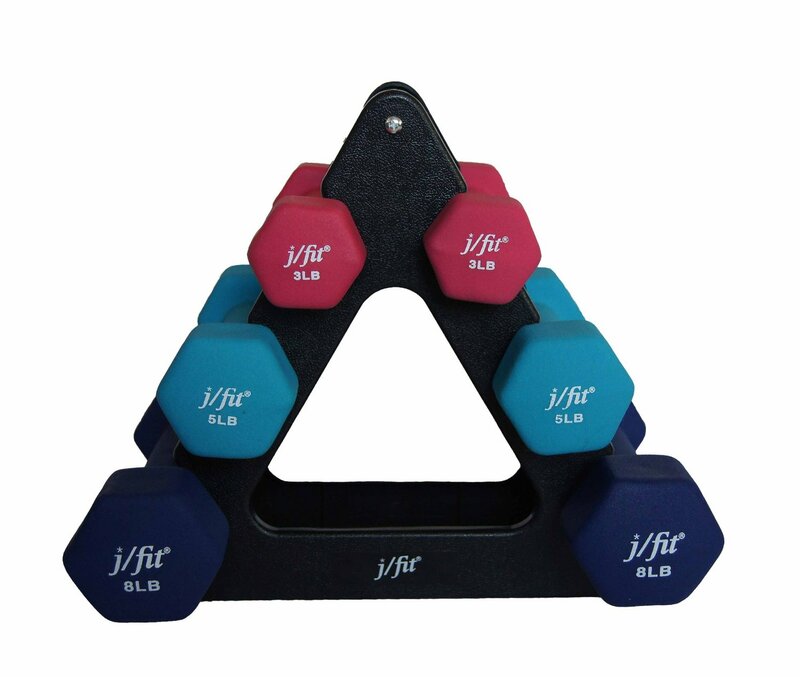 So here are a few gift ideas that can help your loved ones embrace strength training in 2015. Gone are the days of boring black. Sets of 3-, 5-, and 8-pound dumbbells (perfect for beginners) are now available in fashion colors. There are plenty of guidelines for proper lifting online (e.g., breathe, align, don’t rush). Why not print out an article and include it in the package? To avoid boredom or my tendency to quit before fatigue, I rely on DVD workouts that feature weights. p90x is my go-to, which may be a bit extreme for your Aunt Anna, who’s in her 60s (and still needs to do strength training!). More manageable programs include p90 and 21-Day Fix. They’re great options. Does Cousin Sam travel a lot? Resistance bands would allow Sam to work out anywhere. They don’t take up much space in a suitcase, and don’t add much weight. No need for a hotel gym (which, in my experience, often lacks a decent selection of weights anyway). 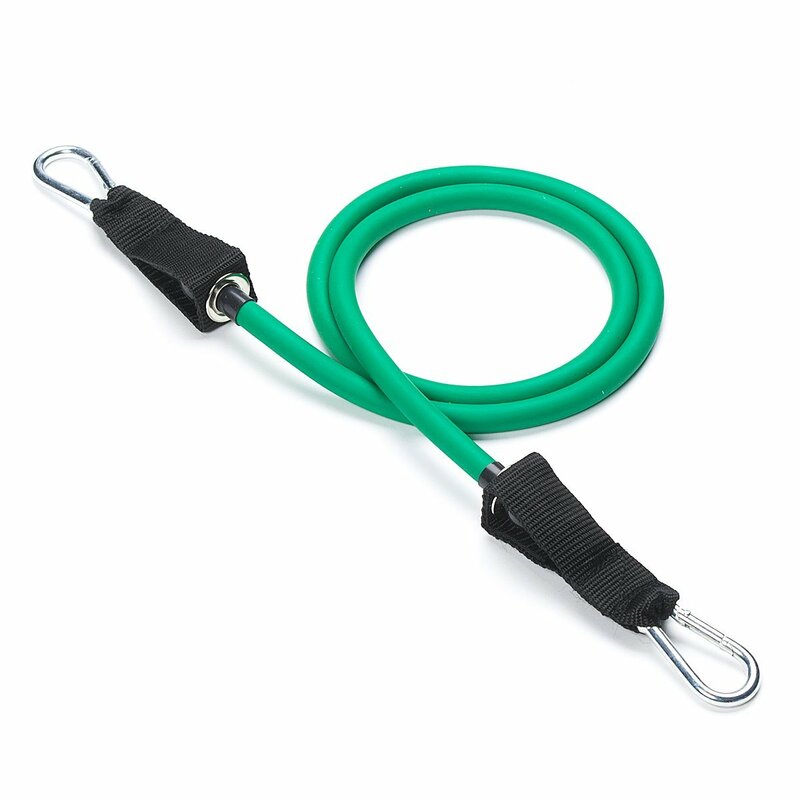 And.. resistance bands with door attachments are useful for back exercises if you don’t have interest or room for a pull-up bar. It is possible to do strength training without equipment. Push-ups and squats are examples of exercises that you can do anywhere. Again, I rely on DVD programs to provide variety and rigor. Insanity is a favorite of mine (although when I first started, I popped 4 post-workout ibuprofens). PiYo takes a calmer approach that is inspired by yoga and pilates — but your muscles will know they’re working! In the video below Chalene Johnson demonstrates some PiYo moves. If you want additional guidance on workout programs might work for you — or your Cousin Joe or Aunt Elsa — fill in the fields below!